Simple yet highly useful when cleaning firearms. This small flashlight uses a L-shaped fiber to direct the LED's light beam, making it easy to illuminate the inside of your barrel. Requires 1 AAA battery, included. this little thing gives off a ton of light to see what is down the barrel! handy small enough for any ones hands and a darn good price! sure beats trying to use a flashlight while cleaning! would i recommend to my friends? already have! 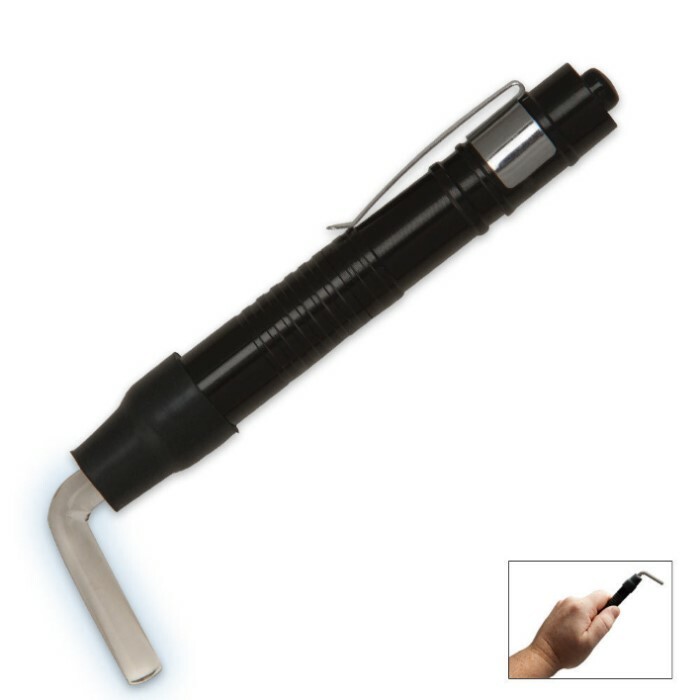 This bore scope/light is super handy and so easy to carry and use. I brought two and keep one in the gun safe and the other is most often in my pocket when I am dealing with my guns. The light is bright and the angled plastic light extender is infinitely adjustable. An extra feature is that the plastic light extender can be removed and you have a bright flashlight. I have had several other scope lights and this one is the easiest to use and the most universal. Excellent product. I have been looking for this product for years at gun shows, to no avail. Good price also. Great for the price and works. Not sure if it is just my light but for it to work I have to put the battery in backwards for it to work. Never had to put the + end on same side as spring for anything to work, but hey if it isn't broke don't fix it lol. THIS IS A GREAT LITTLE LIGHT FOR THE PRICE. YOU CAN ALSO USE IT TO LOOK IN TIGHT PLACES. THE "LIGHT STICK" CARRIES THE LIGHT WELL. COULDN'T DO WITH OUT IT.